Is this a new pentagonal tiling? About 6 or 7 years ago I did a computer search for various monohedral polygon tilings. I was hoping to find a 15th pentagon type, but got side-tracked into cataloguing all the tilings I found along the way. 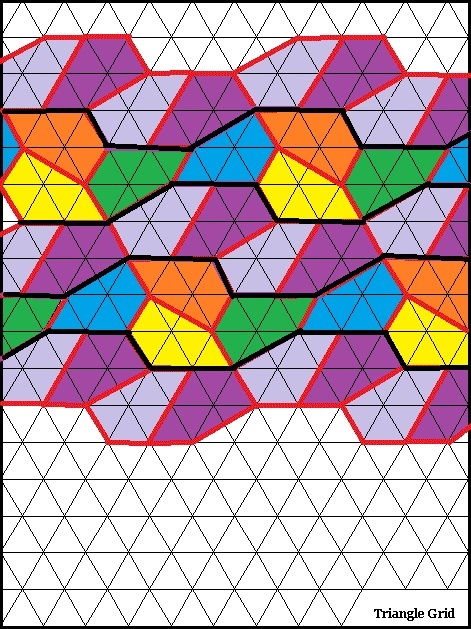 See my tilings page. I did not find this one of yours, as it is 4-isohedral and I did not search for those much because my programs were too slow for that. The tile itself however is obviously of a known type, namely type 1 (two adjacent corners sum to 180, or equivalently two parallel sides). It is also of type 2. I would however be interested in seeing any other tilings you have found. Recently Michaël Rao has announced a proof that the 15 known convex pentagon tile types are the only ones. You can read about it in this article, and read the draft paper here. It is plausible, but as it depends on an exhaustive computer search, it will be a while before it is replicated and confirmed. Not the answer you're looking for? Browse other questions tagged tiling or ask your own question. how to generate tessellation cells using the Poincare disk model? 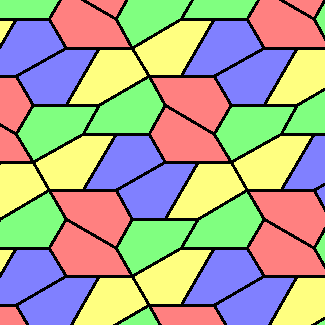 Polygonal tilings: differentiating between tiles and tilings, and their edges and vertices? Is this an instance of any existing convex pentagonal tilings? When are convex polygon tilings Voronoi? 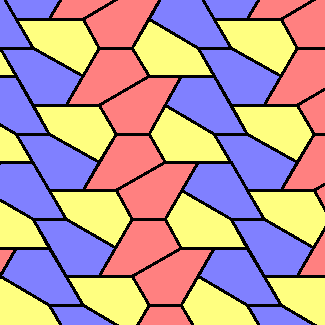 Why is the 14th convex pentagon tiling unique?